It was a sinfully long weekend for 2 of us! Sloth, greed, lust and gluttony! We managed to cover all 4 key Pearl River Delta sin-cities within 4 short days (starting with Hong Kong, Shenzhen, Macau and Zhuhai)! What do you expect from 2 most notorious pranksters? It was an awesome escapade of some really hot and heart-pounding actions! We had one of the best brothers’ moments in years! Next morning, we took a boat to Macau. 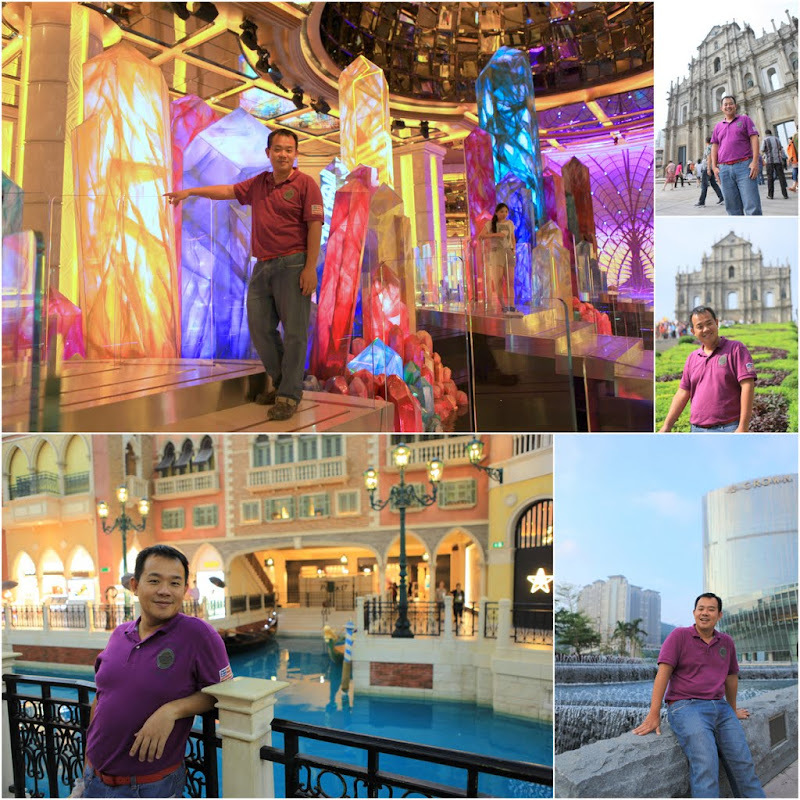 This is Gareth’s first visit to Macau and Zhuhai. I promised to bring him to all the newest and biggest casinos. It is the best time to get my dear brother “high”! The devil inside me included another evil itinerary for my good old brother. 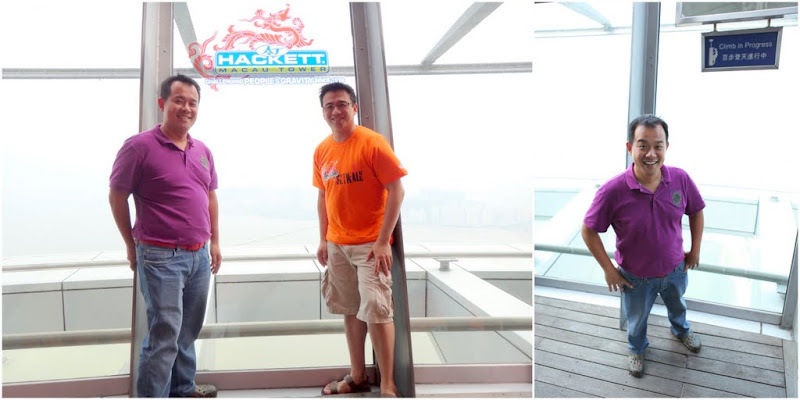 Knowing Gareth has acute height-phobia, I tricked him to Sky-Walk at the Macau Tower. I wanted to drag him out on the ledge for that “priceless photo moment”! He was about to experience / overcome the fear of his lifetime! 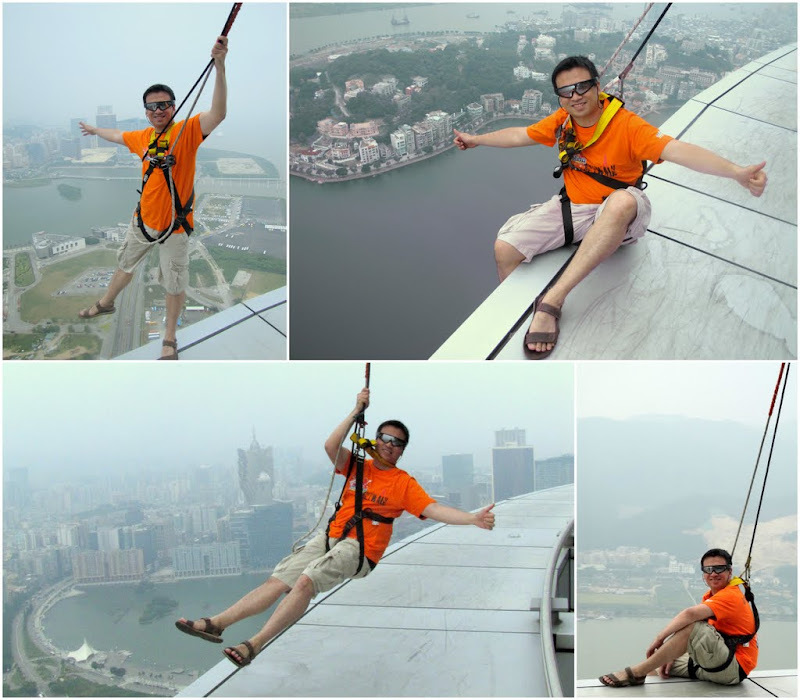 Well, Gareth did completed the Sky-Walk. Shamefully, it didn’t go exactly the way I planned. Gareth walked inside while I took the ledge outside. He broke into cold sweat and he escaped a few minutes before the stunt! In the end, he forsaken me and I have to complete the sky-walk alone. Remarkably, he was able to overcome his fear and walked near to the glass panels to snap some good photos of me. For that, I forgave him. 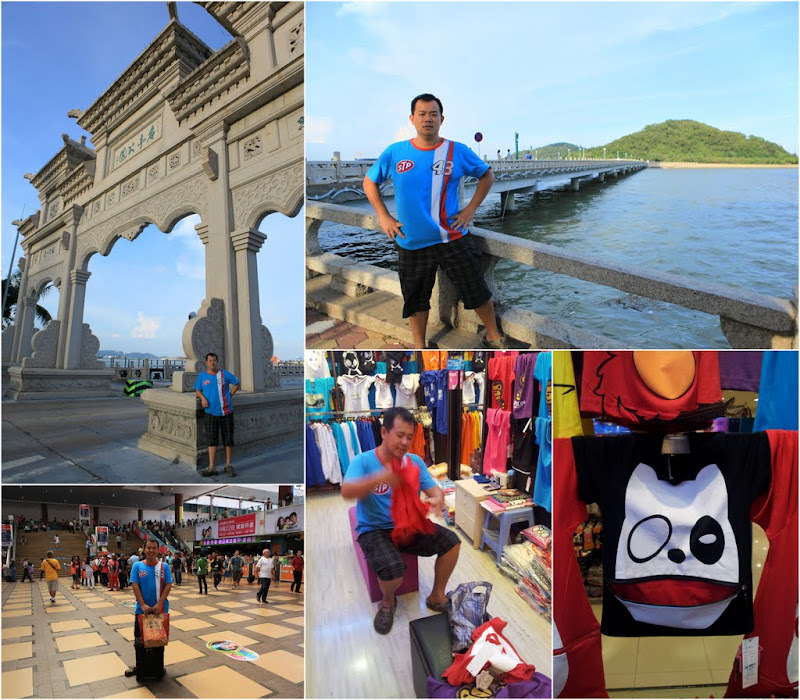 Having no luck in Macau, we headed for Zhuhai the next morning. There, we found our little shopping paradise! We shopped the entire day. Gareth bargained hard and we managed to get a lot of IT accessories at very attractive prices. We also bought stuffs for our little boys back home ~see, we are such lovely dads. In the evening, we went cycling by the beach park and played an hour of table-tennis back in our hotel. What an unusual vacation itinerary for 2 obese men. Dinner was at a local Chinese restaurant where we had very authentic Singapore craypot Bak Kut Teh! We chilled out at Starbuck Cafe and spent the rest of the night at a local massage parlour.